Ripple’s XRP briefly passed Ethereum on Friday as the No. 2 cryptocurrency by market cap. 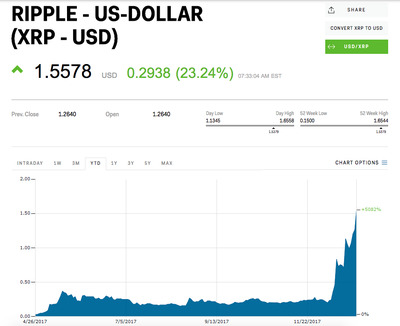 XRP’s market cap reached $US73.65 billion before the digital coin pared its gains. XRP has gained more than 5,000% in 2017. A red-hot close to 2017 briefly caused Ripple’s XRP to overtake Ethereum as the second-largest cryptocurrency by market cap. 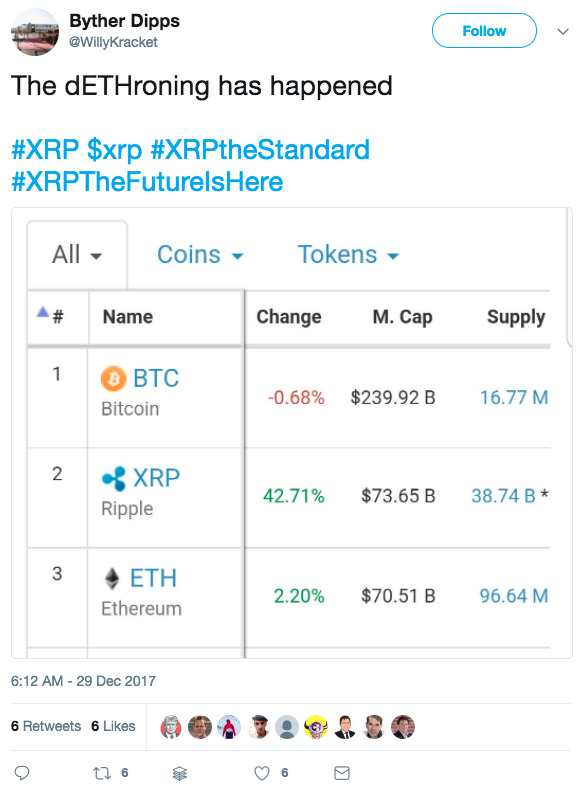 XRP has since pared its gains and slipped back into the third spot in terms of size. The cryptocurrency, which is up about 61% over the past week and more than 5,000% this year, has been on a tear since Ripple’s Asian subsidiary and a group of Japanese credit-card companies announced a new consortium Wednesday. The consortium aims to identify how blockchain and distributed-ledger technology can be deployed in credit-card payments. 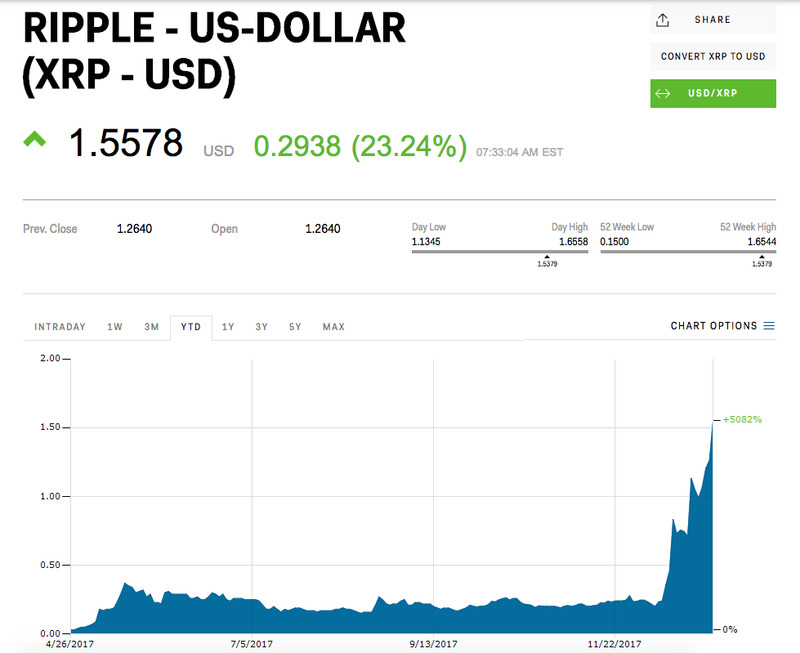 “Asians are going mad for Ripple,” Alexey Ivanov, the CEO and cofounder of Polynom Crypto Capital, a Moscow-based cryptocurrency and blockchain investment fund manager, told Forbes. Frank Chaparro contributed to this story.